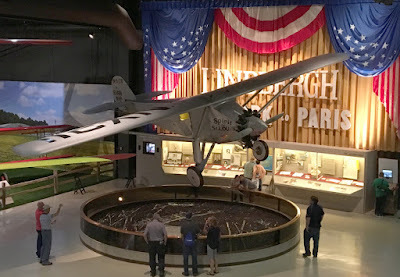 90th Anniversary Charles Lindbergh's New York Paris Flight Today May 21 - He landed 90 years ago today at 10:22 PM (2222 hrs) Paris time, or 1:22 PM (1322 hrs) California time after 33 1/2 hours - in about 15 minutes. I read the "Spirit of St. Louis' years ago; always impressed with his focus, determination and just plain physical stamina. 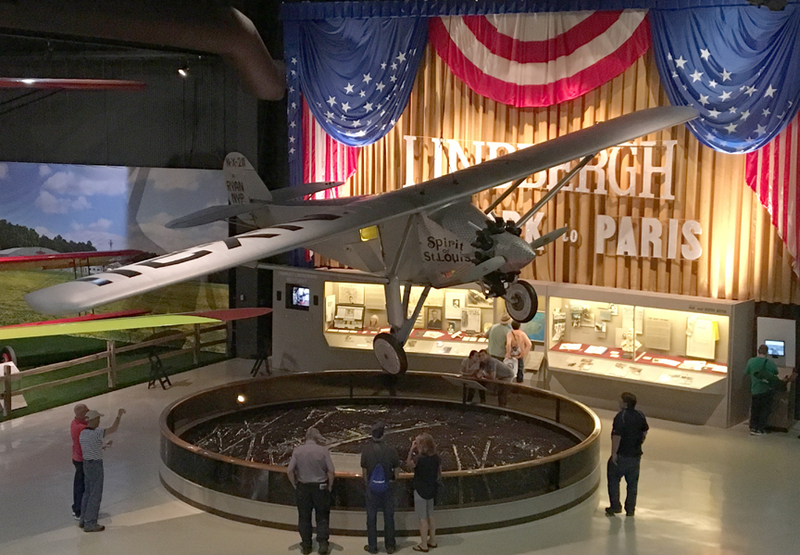 The photo was taken in the EAA Aviation Museum as part of our research for the 90th Anniversary Design - and the shirts are now available on EAA's Merchandise Web site. EAA is one of Aviation's best organizations. We support them and recommend anyone interested in aviation learn more about them and maybe join or otherwise contribute. Their EAA Oshkosh AirVenture is probably the greatest gathering of aircraft and air shows in the world. Pilots and fans, if you like aviation you would love Oshkosh.